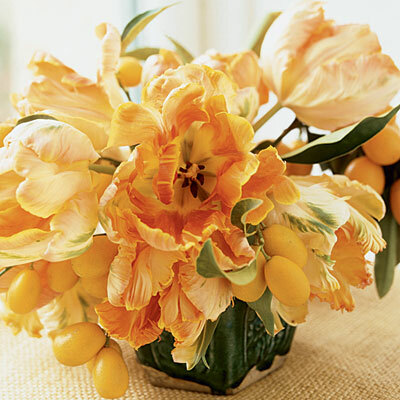 Parrot tulips are similar in style to other tulip varieties, in exception to one major distinguishing feature -- their frilly petals. 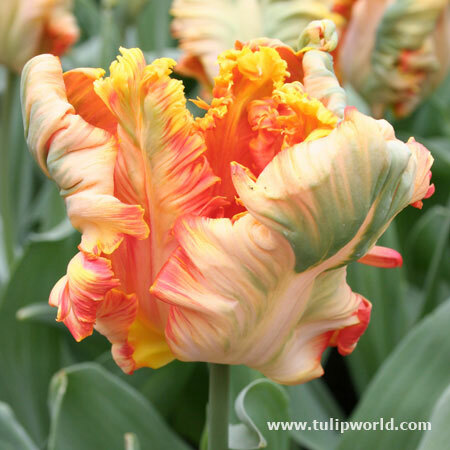 Parrot tulips characteristically have feathery, twisted or scalloped petals which can resemble a parrots feathers- hence their name. 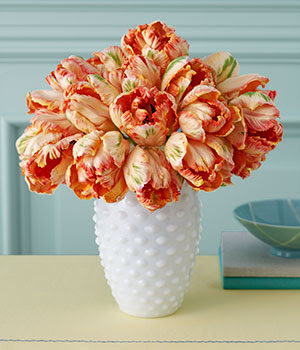 Parrot tulips come in a variety of colors including- pink, green, red, yellow and bi-colored. 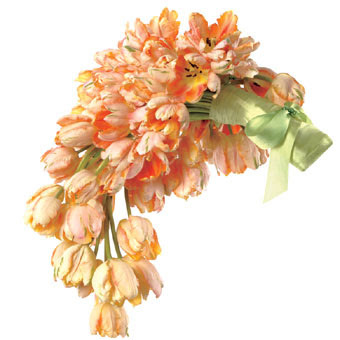 They are perfect for use in a cascading bouquet or bunched together for a bigger impact in a centerpiece. So feminine but can be fun at the same time! Spring has officially started but you sure cant tell here in Utah with the rain and snow in the near forcast. Lets cross our fingers that Spring will show its beautiful face soon.